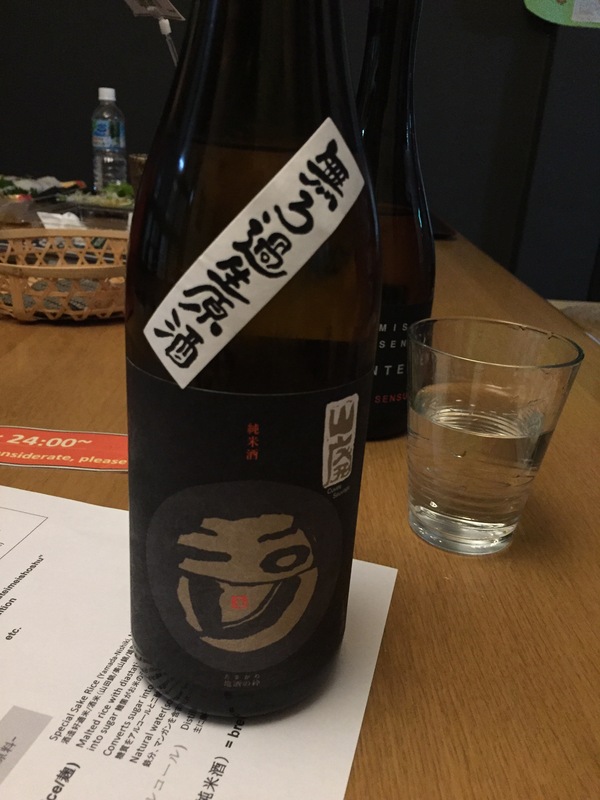 I had my first time Japanese sake tasting at the guesthouse CaminoRo. Sake master Koji shared three types of sake with us. The breweries of these sake are much smaller than the big brands （eg. Hakutsuru 白鶴). 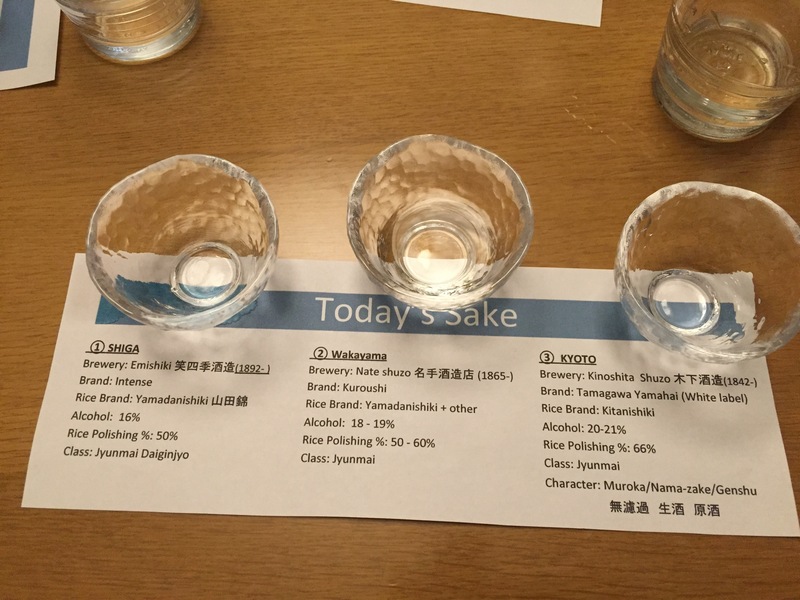 I felt that I become more advanced in sake knowledge after the sake tasting! The tasting lasts around 30 minutes. 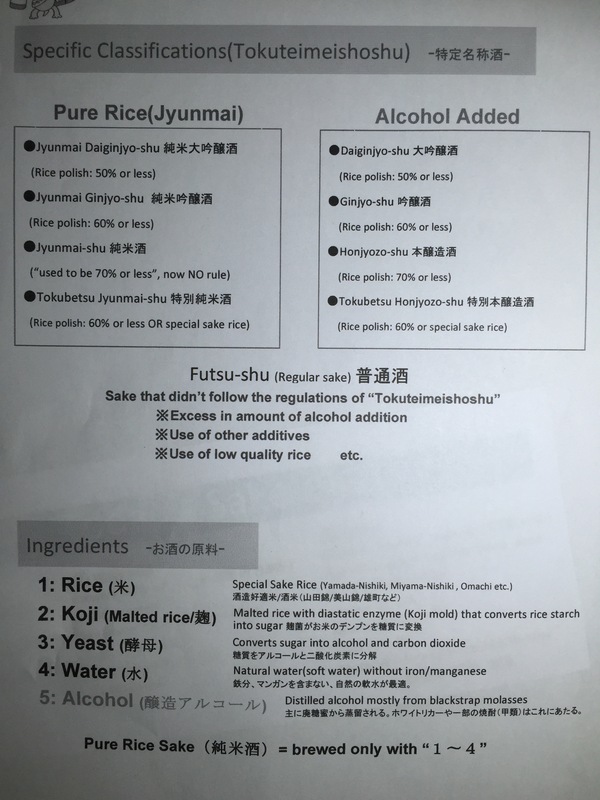 Guesthouse host Koji has a sake master certificate, so he offers sake tasting for ¥500. We made it our first evening event. 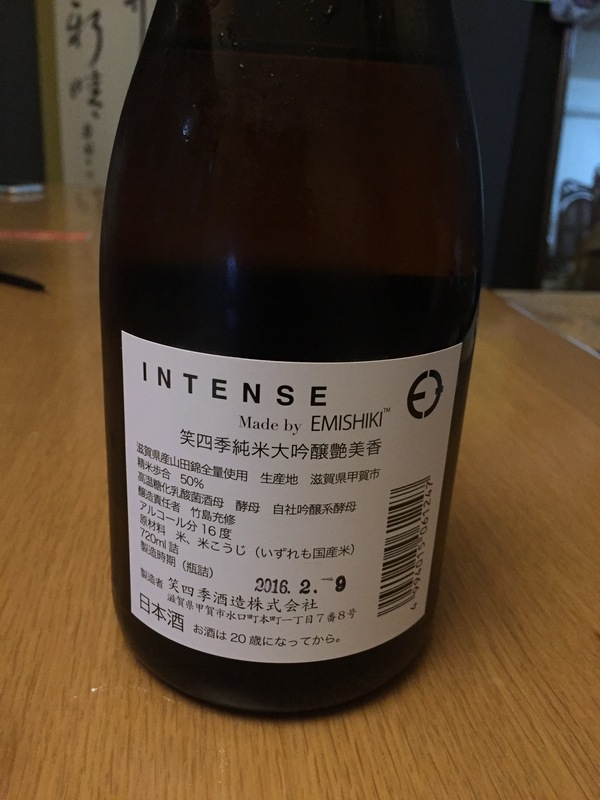 The first one was made by Emishiki (笑四季酒造）. The rice was famous Yamadanishiki （山田錦）. This sake tasted playful, fruity and smooth, I liked it a lot. The second one is made by Nate Shuzo （名手酒造）. The alcohol percentage is slightly higher than the first one. This tasted light and summery, almost feel like a sparkling wine. The third glass has the highest alcohol percentage. It sounds weird but it tasted really good. 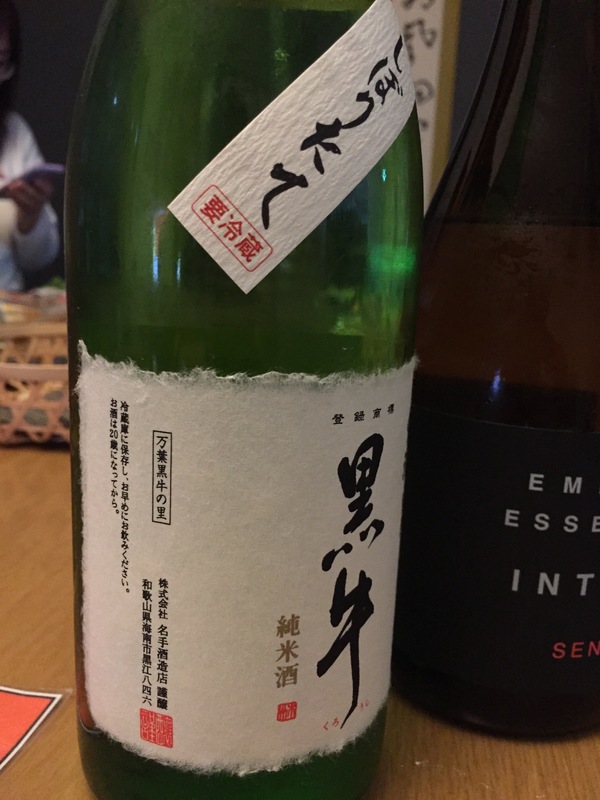 I liked the dense taste of the third sake. Koji told us that one of the tasting master of Konoshita Shuzo (木下酒造) is from Britain. Maybe that’s why it has such strong, dense and good aftertaste. Last but not least, Koji gave us a piece of paper to explain the specific classifications.